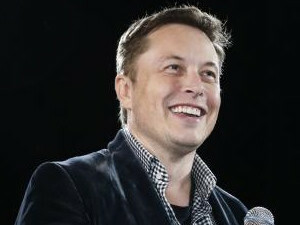 Tesla CEO Elon Musk believes that within three years, cars will be able to autonomously drive motorists from driveway to work. The age of self-driving vehicles (SDV) is fast approaching and city leaders need to take steps to prepare as the disruptive technology becomes a reality. This is according to the results of a new survey from the World Economic Forum (WEF). Nearly 60% of consumers report willingness to travel in a fully self-driving vehicle and cities expect shared SDVs to be more common in the next 10 years. The WEF and the Boston Consulting Group surveyed 5 500 consumers in 10 countries (none in Africa) and spoke to 25 city policy-makers and transport authorities in 12 cities, including Dubai, Helsinki, New York and Singapore, about their expectations for autonomous vehicles. The survey showed most city authorities believe applications like shared self-driving vehicles are coming very quickly and will have the potential to be the last-mile solution for public transport. However, most cities have yet to integrate SDV technology into their future mobility plans. "Many cities aren't yet seeing how the programmes of today, such as car sharing and smart parking, might provide an essential backbone for shared self-driving vehicle programmes in the future," says Alex Mitchell, head of the automotive industry at the WEF. The WEF says some cities have, however, started planning and are implementing trials with self-driving vehicles as a first step to test their impact on urban mobility. Singapore announced extensive multi-year SDV trials last month, while Milton Keynes in the UK is planning trials for autonomous pod cars in 2016. Gothenburg, Sweden is planning a project with 100 self-driving Volvo cars on public roads to start in 2017. Uber and Carnegie Mellon University are developing and testing SDVs in Pittsburgh in the US, while Amsterdam (The Netherlands), London (UK) and Toronto (Canada) all have plans in the pipeline. Cities surveyed identified key impediments to the new technology being public acceptance and technological readiness. Surveyed cities would also prefer having many private players offering self-driving taxis rather than a single choice. South Africa is likely to be well behind the autonomous vehicle curve, as it still struggles with basic road maintenance, and its digital aspirations are hampered by limited and costly Internet access. The age of self-driving vehicles is fast approaching and the WEF highlights the need for cities to prepare. The survey found 58% of consumers in cities around the world are willing to travel in self-driving vehicles. The WEF reports the highest acceptance came from emerging markets, such as India (85%), China (75%) and the UAE (70%). Around half of those in the US and UK would use the technology, while the lowest rates of acceptance were from Japan (36%), The Netherlands (41%) and Germany (44%). Although consumers are open to trying self-driving cars, only 35% of parents would let their children ride alone in one. When asked for reasons for wanting a SDV, 43.5% of respondents cited they would like a car that drops them off and finds a parking spot and parks on its own. Almost 40% said it would allow them to multitask and "be productive during my ride", while 35% would like a car that can switch to self-driving mode in traffic. Many agreed they would be ready to pay more for a fully self-driving car, with the majority of respondents across the board agreeing they would pay up to $5 000 (R70 000) more for an autonomous vehicle. Respondents were slightly more reluctant to share a self-driving taxi, mostly because of security worries, but would do it at a high discount. For the development of self-driving cars, 46% of consumers want traditional car manufacturers to play a leading role; 69% of those consumers would like to see a collaboration with the car manufacturer and a technology player to help provide relevant expertise. The central role of the car manufacturers was most important to consumers in France, Germany and Japan, which are all traditional centres for car manufacturing. "This survey is reassuring news for the traditional automotive companies; consumers trust them to play a leading role in the roll-out of SDVs," said Nikolaus Lang, a senior partner at the Boston Consulting Group. Ford Motor Company president and CEO Mark Fields also welcomed the results. "These survey results reinforce the opportunity we see for autonomous vehicles to be part of the solution as the urban transportation model is redefined. They also highlight the importance of the private and public sectors working together to shape an innovative future for mobility," says Fields. Globally, two-thirds of consumers expect self-driving vehicles to be electric or hybrid. This is good news for the likes of Tesla, which is already focusing on SDV technology for its pioneering electric cars. 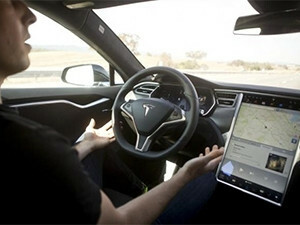 The company of South African-born Elon Musk recently unveiled "autopilot" features that can be downloaded by newer Tesla Motors Model S sedans to enable them to steer and park themselves. Musk estimated that within three years, cars will be able to drive "from your driveway to work without you touching anything" but regulatory approval could take years. Many automakers ? including Ford, BMW, Hyundai and Mercedes-Benz ? are all making advances in semi-autonomous features for their cars, including traffic jam assistance and active speed limiters. Honda, Toyota and Nissan all aim to bring self-driving cars to market by 2020. *The countries included in the WEF survey were China, France, Germany, India, Japan, Netherlands, Singapore, the United Arab Emirates, the UK and the US. The cities consulted were Amsterdam, Dubai, Dusseldorf, Gothenburg, Graz, Helsinki, Miami, Milton Keynes, New York, Pittsburgh, Singapore and Toronto.